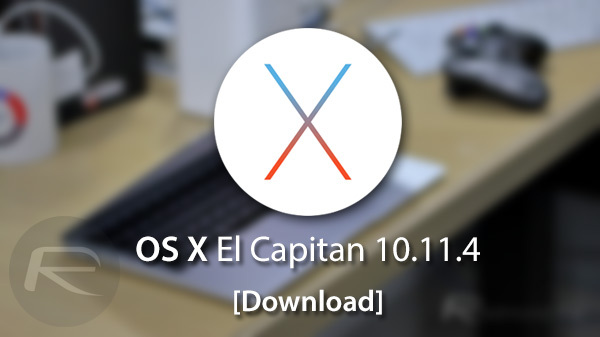 Apple has made available for download final version of OS X El Capitan 10.11.4 for supported Macs. After going through a fairly in-depth period of testing, which involved multiple progressive seeds being issued to registered developers and public testers, Apple clearly deems the latest version of OS X now ready to be consumed by the general public. The release represents the fourth major update in the lifecycle of OS X El Capitan, which was originally released in September of last year, and nicely opens the door for the introduction of OS X 10.12 this coming June. Today’s release follows on from a total of six previous pre-release beta seeds that has taken OS X 10.11.4 from an initial set of ideas and concept all the way through to a finished, polished release that brings a number of improvements to MacBook and iMac owners. Previous iterations of platforms such as OS X and iOS have included nothing more than under-the-hood improvements designed to enhance the overall user-experience from a usability perspective. Thankfully, OS X 10.11.4 brings a little more than that to the table by actually introducing a couple of outward changes that the user can directly interact with. Firstly, those downloading and installing OS X 10.11.4 from the Mac App Store’s software update mechanism will find additional support embedded within the stock Apple Notes app. This involves importing notes into the Notes app directly from Evernote to improve a user’s workflow and connectivity with popular tools. There’s also a handy new little feature that includes the ability to password protect any new or legacy notes within the app. This feature ties in nicely with Apple’s iOS 9.3 update that allows notes to be protected both with passwords and biometrics authentication via Touch ID. Additionally, and perhaps more interesting to a lot of those MacBook and iMac owners who also have an iPhone 6s or iPhone 6s Plus, OS X 10.11.4 also brings in support within the Messages app for dynamic Live Photos. Obviously, capturing Live Photos from a Mac isn’t possible, but this update does mean that if a Live Photo is sent via Messages app, and received on the Mac, then the user receiving it can view the dynamic content within the app. Changes like these may seem limited in number, but mixed together with the security and stability improvements that have taken place behind-the-scenes, it makes for a really solid release for Mac owners. 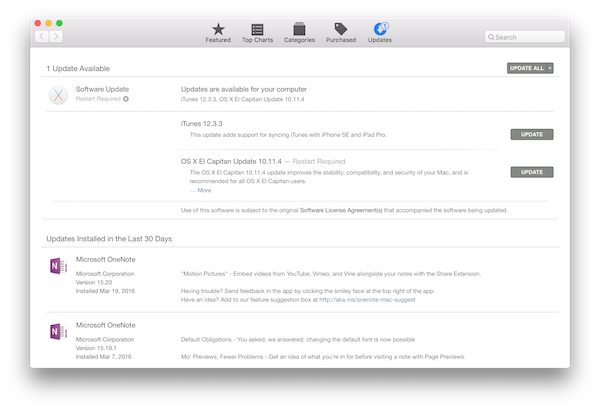 If you’re already running an older version of OS X El Capitan on your Mac, you can update to OS X 10.11.4 right now from the Updates tab in the Mac App Store. I updated my macbook pro retina 2015 to the latest update and since then my laptop freezes mostly when using Safari.. I have already had this problem thrice!! Anyone else? ?